February 2019 – Fighting for Affordable Prescription Drugs! Rx prices are out of control. Support CCHCC in the fight to rein in drug prices. En Español: Esta es una carta solicitando una donación para el trabajo que hace CCHCC. Si tiene preguntas sobre esta carta, o para mas información sobre donando a CCHCC, llame a (217) 352-6533 y pregunte por Chris o Adani. Something amazing is happening – there is a real and growing movement to finally – finally! – take legislative action to rein in the costs of skyrocketing prescription drug prices. State legislatures – including in Illinois – and even Congress, are now working in earnest to pass legislation to limit and regulate prescription drug prices. And just as amazing, there is bi-partisan support to work on this kind of legislation. But it won’t be easy because Big Pharma is fighting back! Please consider supporting and joining in CCHCC’s community organizing efforts to get sensible Rx pricing legislation passed. The time to do this work is now! You can read below to learn more about legislative efforts in Illinois. CCHCC will be working hard to educate and mobilize our community to advocate for legislation to benefit consumers. State representatives and senators will need to hear from their constituents so that Big Pharma doesn’t have the last word on prescription drug pricing. Consumers need relief from the cost of unregulated, ever-increasing drug prices. • Health plans attribute 22 percent of premium cost increases to prescription drugs. Illinois is working to pass Rx pricing and transparency legislation. A new committee has been created in the Illinois State Legislature to take on the challenge of prescription drug pricing. It is the Prescription Drug Affordability and Accessibility Committee. This Committee is chaired by State Rep. Will Guzzardi (39th District). This Rx committee is already considering legislation that would create transparency and regulation in drug pricing, regulation of Pharmaceutical Benefits Manager companies, and legislation that would allow for importation of prescription drugs from Canada. CCHCC will be working with Rep. Guzzardi, as well as our local state representatives and senators to help advance legislation that will benefit Illinois consumers. 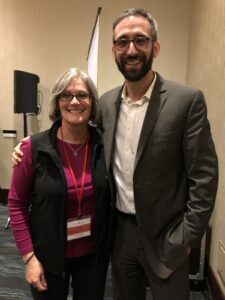 CCHCC Executive Director Claudia Lennhoff with IL State Representative Will Guzzardi (39th District) in Washington, DC. Local consumers need help now – that’s why CCHCC established our Rx Fund. Even as we work on legislative initiatives to reduce the costs of prescription drugs, we help local consumers on a daily basis to pay for their prescription drugs through our Rx Fund. 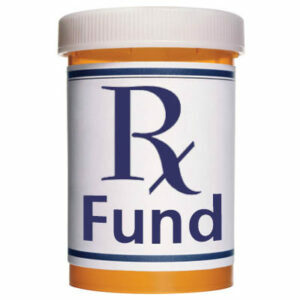 Our Rx Fund is a fund that helps cover the costs of co-pays or the full costs of prescriptions for low-income consumers who could not otherwise afford to fill their prescriptions. We work with Complete Care Pharmacy in downtown Champaign to make this unique program possible. Our Rx Fund helps ensure that consumers don’t have to go without needed prescriptions – whether they be for blood pressure, diabetes, mental health, or other health issues – when their insurance lapses, or they lose their job, or they simply can’t afford the cost of their prescriptions. Please consider making a contribution to help support CCHCC’s work to make prescription drugs affordable for our community members. Our Rx Fund helps bridge the gap so that local consumers can get the prescriptions they need, and our community organizing and advocacy efforts will help support legislation to make the costs of prescriptions more transparent and affordable for everyone. We appreciate your financial support and your involvement in our advocacy efforts. Together, we are building a stronger, healthier community – together, we will win the fight to make prescriptions more affordable!